How Does the Concentration of a Solution Affect Osmosis? What Happens When You Add a Drop of Food Coloring to Cold Water? 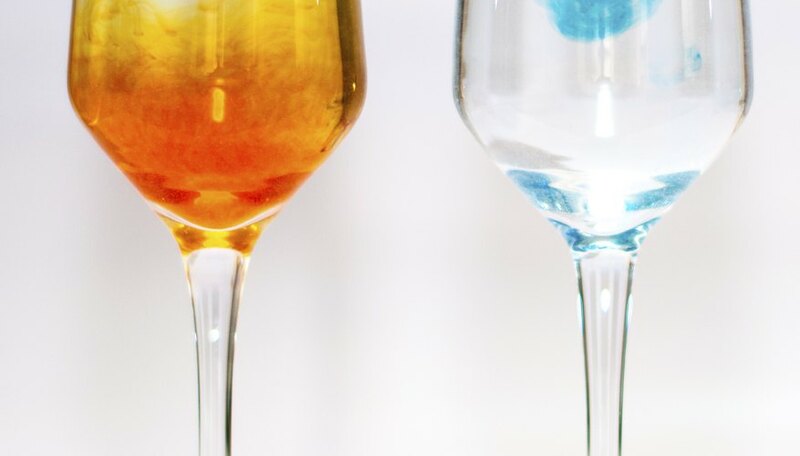 Food coloring illustrates diffusion in water. Diffusion is the mixing of molecules due to their random motion, whether in a liquid or a gas. Because molecules in cold water have less kinetic energy than in warm water, the diffusion process is much slower than in warm water. But the food coloring can also show movement that isn't random, such as agitation of the water by convection. TL;DR: Food coloring added to the center of a beaker of cold water will sink to the bottom. 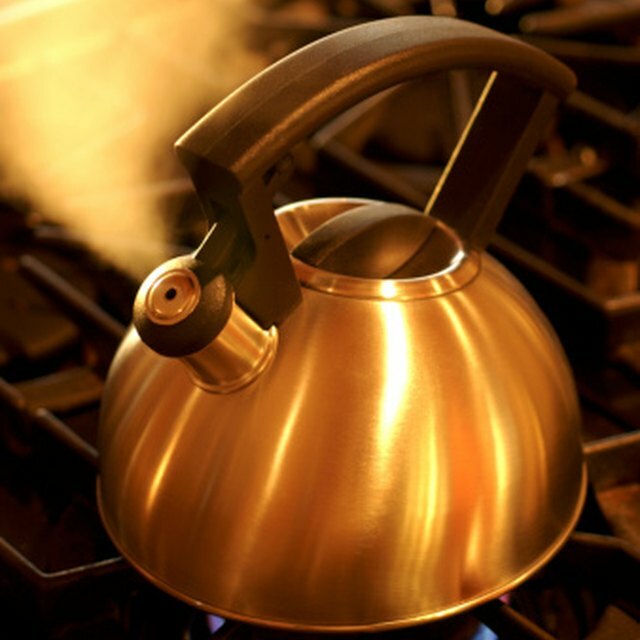 If you stir the cold water, or add the coloring to warm water, it will diffuse much more quickly. Diffusion does not require agitation, such as stirring, though agitation does speed the process. In the case of food coloring in water, the water is the solvent while the food coloring is the solute. Once they've mixed, they make a solution. Diffusion takes time, though how much time depends on the kinetic energy of the molecules randomly bouncing among each other. This random bouncing – called Brownian motion – results from the atoms vibrating, which they do faster and harder the hotter they are. The end result of these movements, over time, is the final, uniform solution. The food coloring has a slightly higher specific gravity, or relative density, than water, so before it has time to diffuse, it tends to sink in the water. When the water is cold, and the diffusion rate is slower, more of the food coloring stays together in a plume falling to the bottom of the container. Left alone and undisturbed, it might form a layer at the bottom; because of Brownian motion, though, there won't be a sharply defined boundary between the water and the coloring. The random motion of the molecules will gradually diffuse the color into the water. Agitation will speed the process of diffusion. If the container of water is warmer or cooler than the ambient air, it will develop convective flow patterns as the water approaches the ambient temperature. In the case of cold water in a warm environment, the sides of the container conduct heat to the periphery of the water. The cool, denser water at the center sinks. Food coloring added to this sinking center column will ride the convective flow to the bottom of the container, but then it will also ride the flow up the sides, back to the top to cycle around again. This flow serves to agitate the solution, speeding the diffusion. What Happens When the Water is Altered? Compare the effects of heat and density on the diffusion of the food coloring. Try a side-by-side comparison of diffusion in cold water and in warm water. The diffusion will be much slower in the cold water. Try dissolving half a spoonful of salt in water and then drop the food coloring. The coloring will still diffuse, but it won't sink because the saltwater has a higher specific gravity. Try placing a source of heat, such as an incandescent light, against one side of the glass, and wait a few minutes before dropping the coloring. It will ride – and thereby make visible – the convective flow. Why Does an Egg Shrink in Different Solutions? Silbajoris, Alex. "What Happens When You Add a Drop of Food Coloring to Cold Water?" Sciencing, https://sciencing.com/happens-food-coloring-cold-water-8253853.html. 27 April 2018.